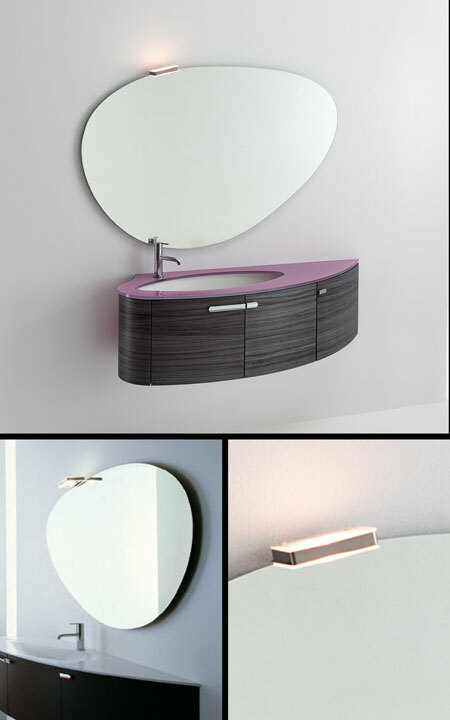 This stylish oval bathroom mirror is supplied with a tidy contemporary lamp. The Oceana illuminated mirror has a minimalist aluminium frame producing a stylish frameless mirror. * Small stylish mirror light. * Allow 8 weeks for delivery.